Brand new high quality fiber vinyl wrap roll decals wallpaper. 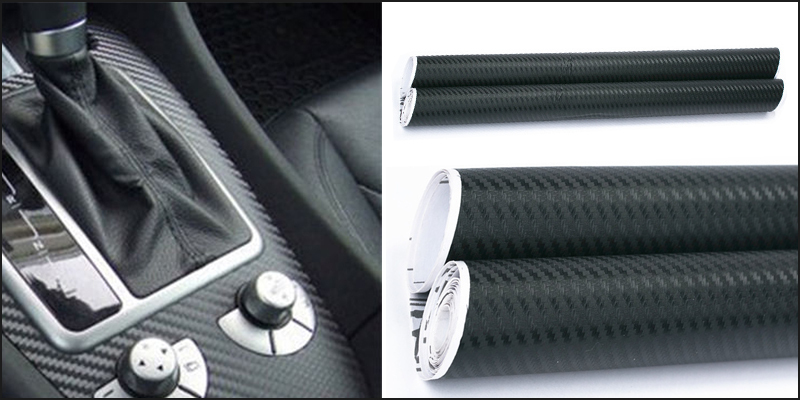 Ideal for exterior or interior car use. It can be cut at any shape, and easy to apply by you. Easy application and easy removing. Water Proof, dirt Resistant and stain resistant. Simple to remove without leaving trace or residue, will not spoil the painted surface of your vehicles. High performance, long life, gives a great look to your car, motorbike, cell phones, laptop, fridge, furniture, MP players and other digital gadgets etc. It totally changes the appearance of your car. Its instructions are easy and understandable.